So Thursday morning I woke up early(okay 8:40) and went over to my friend’s house for some sewing. She’s a seamstress and I’m not the greatest at sewing so she helps me out a lot when I feel like making clothes. I’m not the greatest with clothes, once again it’s the reading of the pattern that often gets me really confused. 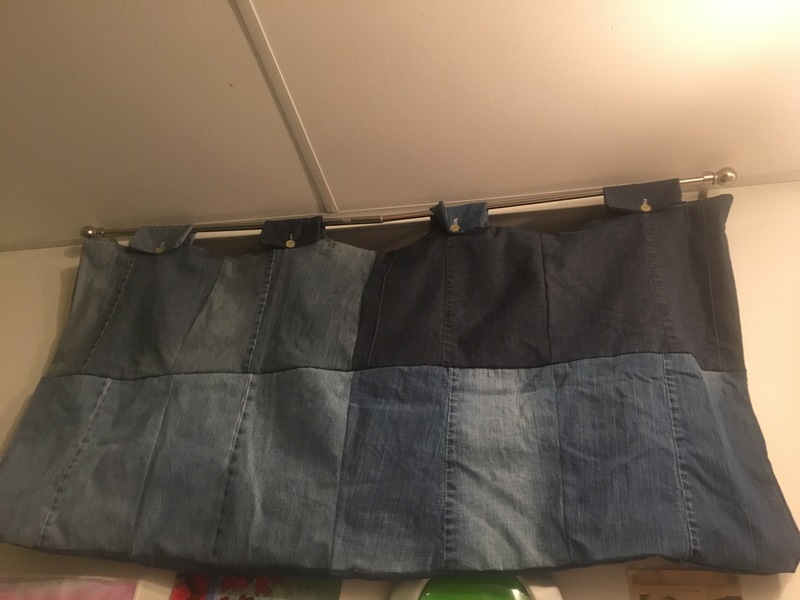 So anyway a long time ago, probably about three years ago now I made a curtain for my bedroom window out of old jean squares that my mom cut out of the jeans. So anyway I am terrible at measuring, and I learned this very quickly when I made this curtain and brought it home to only find the loops were too big and it was too long, about half too long. I know it might not be that great looking curtain, but to tell you the truth I really like it and I really just wanted something to block the sun and light from coming into my window when I’m sleeping. I really think I was a mole in another life because when I want to sleep I can’t seem to fall asleep or don’t sleep well unless it is very dark in the room. So since I had my sewing machine at my friend’s place I decided I would finally fix the curtain to the right size for my window. Now I really like how it looks in my room and it blocks out all the light through the night while I’m sleeping, so hurray for that. My friend also finished sewing my dress for me. I picked out a dress pattern a few months ago and she and I haven’t gotten together in awhile to work on it. I wanted to try making it myself, but the pattern was a little beyond me. So she did the sewing and I did some of the hand-sewing that needed to be done on it. It turned out really well I think, at least I like it, so I guess that’s all that matters. So my family does a Christmas gift exchange thing every year. So this year I’m making his and her mugs with coasters. So in the picture above is all of the fabric and the stuffing I’m putting in them to make them thick. 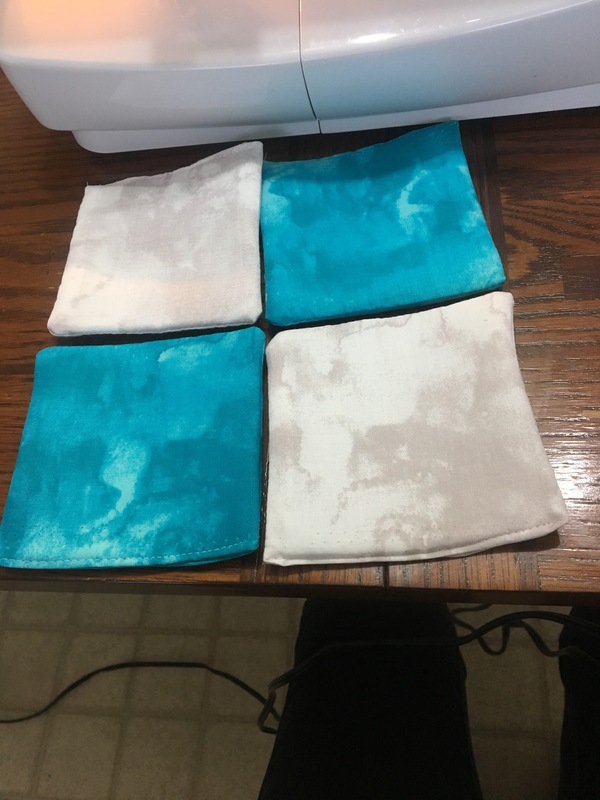 So I’ve maybe been working on them for two hours or more, as it takes me time to cut it and I need help from my friend who is a seamstress to help me sew the ends as I should have cut the fabric a little bigger. I’ll have to do that next time. So next I will be making the mugs. Don’t worry I’ll be doing posting for it too.